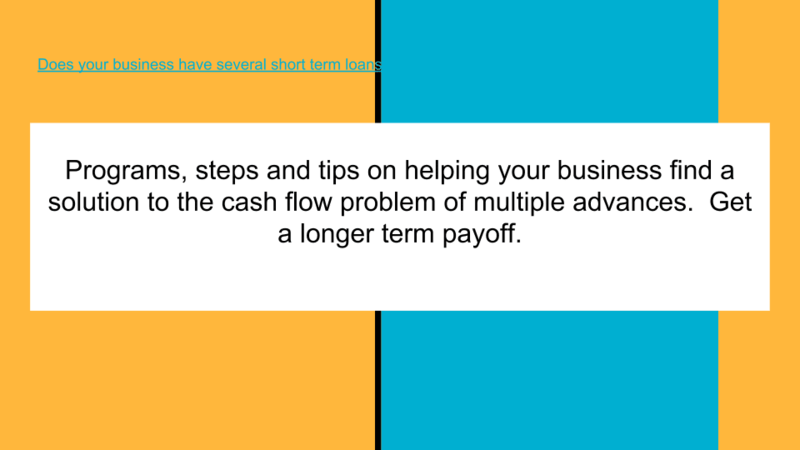 If your business needs a larger business loan and you know the business will not qualify for the larger loan, a strategy to get the full amount needed is to get multiple loan parts. Get several smaller loans to achieve the goal of obtaining the full funding of the larger loan amount needed. Complete the Secure DocuSign >>15 Second Application Now.<< , or Full App. As an example, if a business needs $100,000 and knows it cannot qualify for $100,000 in one loan, the business can get multiple loans. In this example, if the business knows it can qualify for approximately $35,000, but not $100,000 and it needs $100,000, the business should first obtain a $35,000 loan. After obtaining and receiving the $35,000 loan, the business can apply for another $35,000 round of funding, followed by a final round of $35,000 in funding. By going for 3 rounds, the business has achieved the full goal of $100,000 in funding. In many cases, the business does not need to use all of the funding in the first week or two, or even in the first month or two. Many times, the business uses the funding over the course of weeks, and even months. Had the business obtained the $100,000 all at one time and used it over the course of 3 months, that would have amounted to almost the same result had they obtained the funding in 3 parts of $35,000 over the course of 2 or 3 months. As an example, if a Restaurant is doing a build out and expanding the restaurant by taking out a wall and expanding floor space, they spend the money as the work is completed over time, not all at once. First the expense of breaking out the wall is incurred, followed by new construction, then electrical, then interior. All of these expenses occur over time. The general contractor does not charge this all upfront. 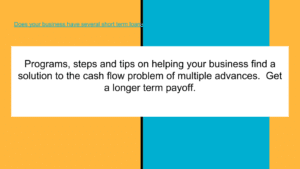 The strategy of multiple loan parts over time can be an effective way for a business to get all of the funds it needs.